i. 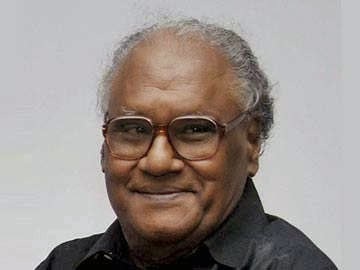 Eminent scientist and Bharat Ratna awardee Chintamani Nagesa Ramachandra Rao was conferred with Japan’s highest civilian award the Order of the Rising Sun, Gold and Silver Star. ii. He was bestowed with this award for his outstanding contributions to science and Indo-Japanese science cooperation. iii. Rao is a National Research Professor, Linus Pauling Research Professor. He is also the Honorary President of Jawaharlal Nehru Centre for Advance Scientific Research, Bengaluru and a former Chair of the Japan-India Science Council. i. A Book titled China – Confucius in the Shadows was released by the Vice President M. Hamid Ansari on 1 May 2015. Confucius was considered as the most efficient author in Chinese history. ii. Book has been written by Poonam Surie. Poonam Surie is an Adjunct Fellow at the Institute of Chinese Studies, New Delhi. iii. The book highlights that in the evolving socio political milieu of China; interpreting Confucian philosophy as being non-confrontationist, benevolent and with values such as filial piety and harmony could help the current political regime deal with such problems as corruption and rising inequalities. i. Four Indians will be conferred with the Spring Imperial Decorations of Japan which were announced on 29 April 2015.
ii. These Indians are among the 85 foreign recipients who will receive the award at the Imperial Palace in Tokyo on 8 May 2015. The awards will be conferred by Emperor of Japan Akihito. Thottuvelil Krishna Pillai Aiyappankutty Nair (75): He is a former Advisor and Principal Secretary to the Prime Minister of India Manmohan Singh. Chintamani Nagesa Ramachandra Rao (80): He is the Honorary President of Jawaharlal Nehru Centre for Advance Scientific Research, Bangalore and a former Chair of the Japan-India Science Council. Nikunj Parekh (74): He is the President of Indo-Japanese Association, Mumbai and Director of Bonsai Study Group of Indo-Japanese Association, Mumbai. Topgay Bhutia (64): Former local employee of the Embassy of Japan in India was awarded for his contribution to the activities of the Japanese overseas establishment. i. 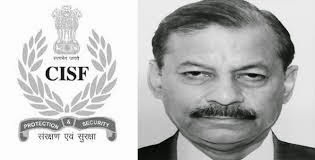 Senior IPS officer Surender Singh took over as Director General (DG) of central paramilitary force Central Industrial Security Force (CISF). ii. Surender Singh is a 1980-batch police officer of West Bengal cadre. Earlier, he served as a Special Director in the Intelligence Bureau (IB) before getting the new assignment. iii. His tenure will end in August 2016. He succeeded Arvind Ranjan. iv. CISF is the largest industrial security force in the world. It is directly under the Union Ministry of Home Affairs and its headquarters are at New Delhi. i. Rajasthan Forest department has allotted more than twelve crore rupees for a bird conservation programme, Project Great Indian Bustard (GIB). ii. For this project Japan Bank is going to provide financial support of three crore rupees. iii. Under the GIB Project, closures will be made at many places in Khudi rasla, Pokhran and Shahgarh of Jaislmer district for safe habitat of bird. In order to regularly monitor the bird information chips will installed. iv. The Great Indian Bustard locally called as Godawan is also the state bird of Rajasthan. The Great Indian Bustard presently is confined to only eight pockets in 6 Indian states- Rajasthan, Gujarat, Maharashtra, Madhya Pradesh, Karnataka and Andhra Pradesh. 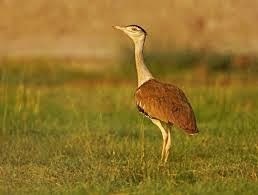 Great Indian Bustard is the State Bird of Rajasthan and locally is called as Godawan. It is listed as critically endangered species by the International Union for the Conservation of Nature (IUCN) Red data list. i. Delhi’s Indira Gandhi International Airport (IGIA) has been adjudged the world’s best airport for the year 2014.
ii. In this regard, Airports Council International (ACI) presented the Airport Service Quality (ASQ) award to IGIA under the category of handling 25 to 40 million passengers per annum. iii. IGIA had scored 4.90 on a scale of 5 points measured by 300 members of the ACI ASQ benchmarking programme. It should be noted that, IGIA has bettered its ranking from second position for three consecutive years 2011, 2012 and 2013 to emerge on top in 2014.
iv. Airport Service Quality (ASQ) is the key to understanding how to increase passenger satisfaction and improve business performance. While the ACI is a trade association of the world’s airports and was founded in 1991.
i. Ace tennis player Rafael Nadal on 1 May 2015 received the Golden Medal for Merit in Work. Golden Medal is one of the top civilian honours of Spain which aims to highlight an exemplary performance in any job or profession. ii. Nadal received the honour from the Spanish Prime Minister Mariano Rajoy Brey at the PM’s official residence Moncloa Palace in Madrid. iii. 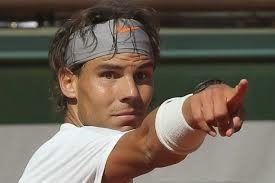 Rafael Nadal is 14-time Grand Slam singles champion out of which he has won the French Open for a record nine times. He is often called The King of Clay and is currently ranked World Number Besides, he has won the 2008 Olympic gold medal in singles, a record 27 ATP World Tour Masters 1000 and 15 ATP World Tour 500 tournaments. i. American boxer Floyd Mayweather Jr. has won the unified World Welterweight title of World Boxing Council, World Boxing Organisation and World Boxing Association. ii. To win this title he defeated Manny Pacquiao from Philippines on a unanimous decision with Judges Scores of 118-110, 116-112 and 116-112 in 12 rounds of intense boxing. iii. The legendary bout termed as ‘Fight of the Century’ was played at iconic MGM Grand, Las Vegas. This fight was also the highest watched and most revenue generating with almost 400 million dollars of all time.